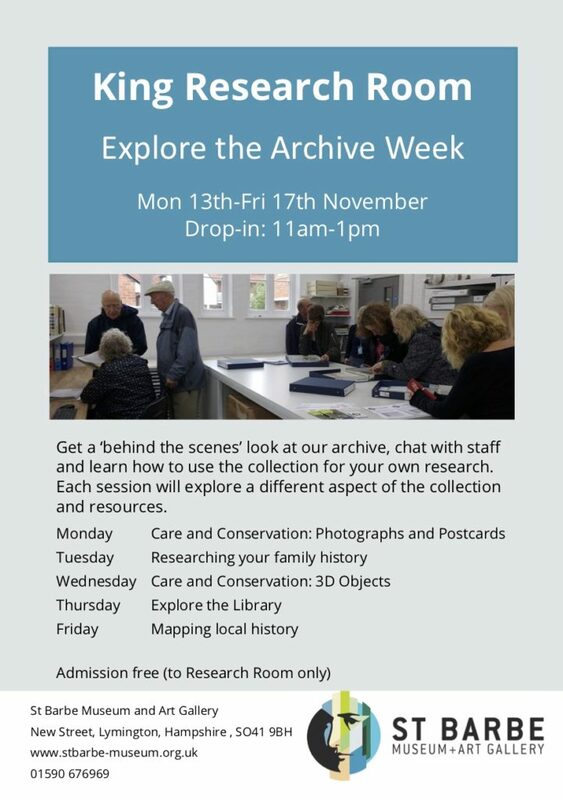 Please see the attached advert from the St Barbe Museum, offering free guided tours of the archives following their refurbishment. The invitation runs from Monday 13th to Friday 17th of November from 11.00 to 1.00 pm. Entry to the archives is free. This is an excellent opportunity to see what material relevant to Milton Parish the museum holds.